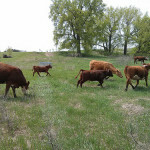 At this time last year our cows had been out on pasture for a little over a week. This year, due to a mild winter, they’ve been out on pasture since April 27th. They even had 17 acres of winter rye stubble to nibble on before the real grazing kicked off. 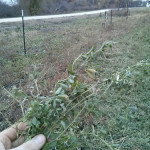 And while the weather did open up the opportunity for earlier grazing, it was the three-years of infrastructure that we’ve built (fences, improved pastures, water lines) that have allowed us to capitalize on the early grazing season. 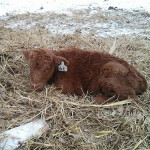 We had our first cow sent to the butcher on April 8th, which seemed a bit optimistic. 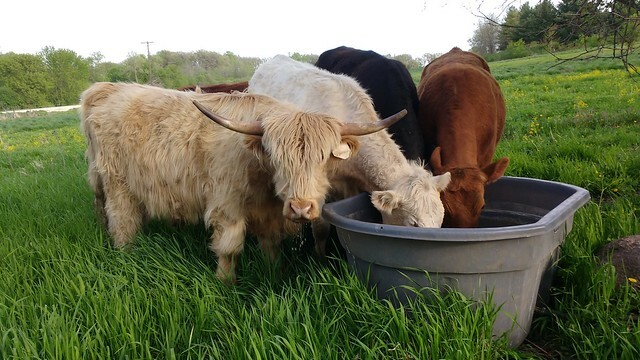 Finishing a cow after a Minnesota winter without grain or lush grass seems like a completely impossible task. 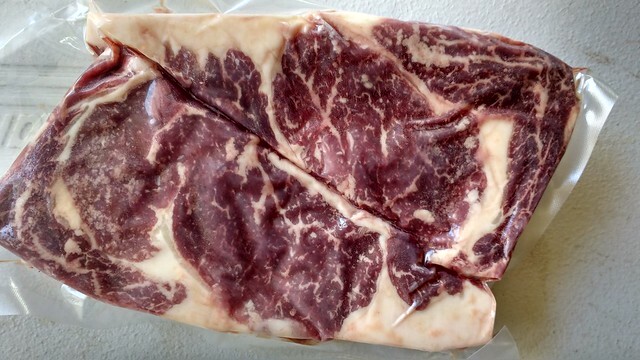 Much to my surprise I picked up these ribeyes from the butcher. I have no idea how we pulled that off, but those suckers are more marbled than they have any right to be.